The Progressive Kinesiology Academy was co-founded in 2001 by Elizabeth Hughes and Miranda Welton. We chose the name 'Progressive' for our Kinesiology modality as it means 'Development towards achieving a goal or making steps forward, to evolve, grow and progress’. Kinesiology, to us, is a journey of understanding the beauty and wisdom of our mind, body and soul’s purpose. We teach supportive ways to assist and communicate with the whole body and encourage people to take back responsibility for their own lives and actions. We believe that sharing these concepts with you, through our teaching, will not only help you to help others but also to help yourself and to be the best you can be. Our courses are registered with The Association of Natural Medicine - a charitable organisation founded in 1983 - which is the awarding body for our successful graduates in Progressive Kinesiology. The Progressive Kinesiology Academy is also a NOCN (National Open College Network) recognised training centre. The Progressive Kinesiology Academy was co-founded in 2001 by Elizabeth Hughes and Miranda Welton. We chose the name 'Progressive' for our Kinesiology modality as it means 'Development towards achieving a goal or making steps forward, to evolve, grow and progress’. There are now two Progressive Kinesiology Academies, one here in the UK headed by Miranda Welton and one in Australia headed by Elizabeth Hughes. The Progressive Kinesiology course enables students to develop and grow as they progress through the various stages of our training programme, to become competent practitioners. We start with an 8-day Foundation course with a 1 day assessment, which is followed by the main Advanced practitioner course. This takes place over 40 days including a two day assessment. The complete training course runs over a two and a half year period with 49 days in total. We also encourage our trainees to participate in exhibitions and gain as much experience with their case studies whilst training with us. Occasionally a condensed training course can be offered, however the training time remains the same, but over a shorter period of time. The Diploma course is specially designed as a comprehensive system leading on from the Foundation studies. The course has been developed along the principles of the holistic balance of the Mind, Body and Spirit and is written in the stages of the Spirit, Emotional/Mind, Chemical, Structural Body, and Oriental Body tools. Our course contains the core subjects of Interpersonal Skills, Practice Management and Nutrition. These are also certified separately and can be undertaken by students attending other training. The core subject of A & P (Level 3) is also required to be completed before becoming a practitioner, and this is required to be undertaken in order to become a fully-fledged kinesiologist. 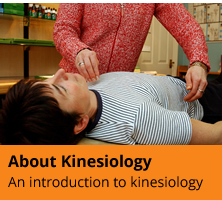 Advice can be offered about training or check with the Kinesiology Federation for suggested acceptable courses. 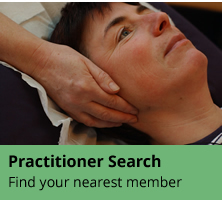 Our courses are registered with the Federation of Holistic Therapists (FHT), the International Institute for Complementary Therapists (IITC), and recognised by the KF. All successful graduates in Progressive Kinesiology receive the Progressive Academy Practitioners Certificate on completion.